Setting the Pace @ “the Show” – PGA Merchandise Show update. Tagmarshal’s maiden visit to “the Show” raised more than a few cursory few eyebrows. The US golfing industries’ introduction to the company’s ground breaking pace of play management system couldn’t have come at a more appropriate time as the global game attempts to reinvigorate itself in order to attract new players to the code. Tagmarshal attracted interest from hundreds of course managers over the course of the three days, most of whom took the opportunity to view a quick demonstration. Craig Kleu, Tagmarshal’s Managing Director, admitted the show surpassed his expectations, “I didn’t anticipate the type of disruption our system would cause. All of the industry players have sophisticated cart based systems but few of them appeal to the average course (largely because of their cost). We have introduced a model geared specifically towards pace of play management but that also provides plain vanilla tracking in a very attractive price bracket”. It is common knowledge that the lengthy period of time it takes to complete an 18 hole round is detrimental to the growth of the sport, while #slowplay has become a common buzzword of the USGA and other governing bodies. Dan Parkinson, Tagmarshal’s newly appointed US Sales Director – “Our pace management system has not only revolutionised the industries tracking fraternity by providing operators with the ability to monitor their walking fields in real time but it has also created a mechanism to measure playing time throughout the golf course”. This is the type of technology managers have been waiting for, as they now have the ability to illustrate to ‘problem’ players where they have transgressed. 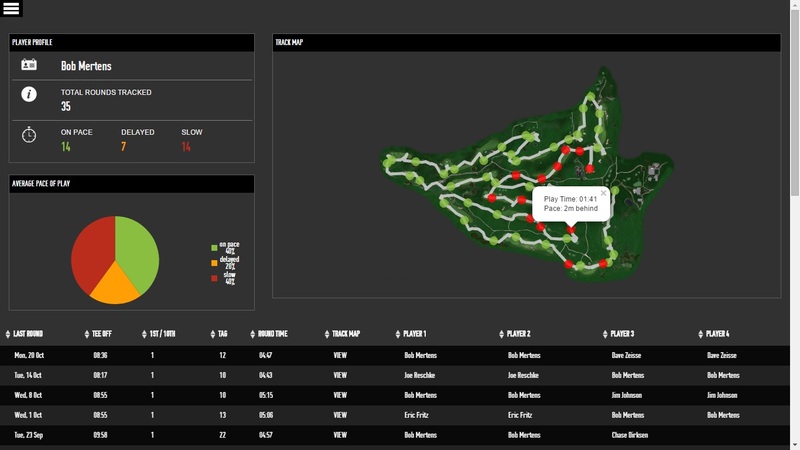 Other system features include the ability to distinguish between slow and delayed groups and a comprehensive statistics module that provides useful data on items such as average hole and round times, problem playing groups, as well as the ability to create membership pace of play profiles (see above). Tagmarshal’s first United States installation was last summer on 2017 US Open host course Erin Hills. Email dan@tagmarshalusa.com for more information or to set up a demonstration. 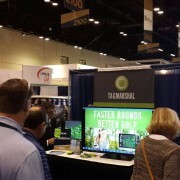 https://www.tagmarshal.com/wp-content/uploads/2015/02/tagmarshal-pga-show-2015.jpg 720 1280 admin https://www.tagmarshal.com/wp-content/uploads/2017/12/Tagmarshal_golf-course-intelligende_logo.png admin2015-02-11 16:18:532015-02-12 15:50:33Setting the Pace @ “the Show” – PGA Merchandise Show update.